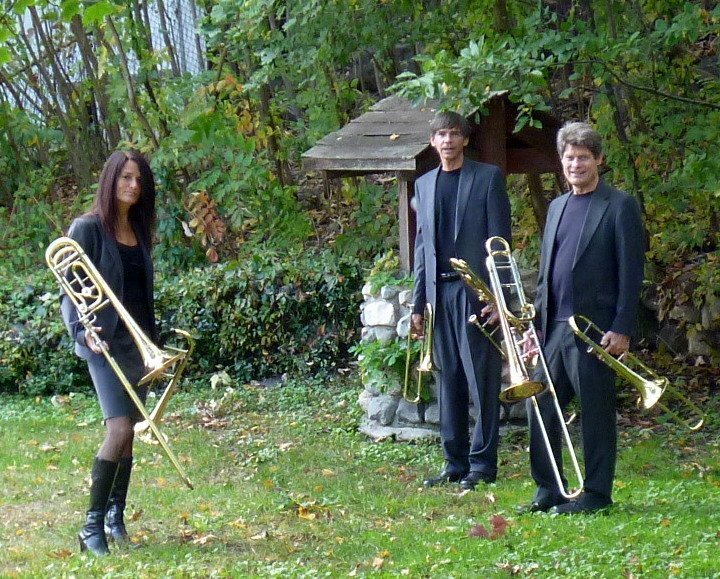 “The Modern Sackbut” features a very accessible program of contemporary classical and pop music, highlighting the works of living composers. Selections include works by Todd Brunel, Eric Ewazen, Hidas Frigyes, Alan T. Fagan, Brian Lynn, George Masso, Herbie Hancock, Walter S. Hartley, Harold Schiffman, John Sweden, Steven Verhelst, and a “world premier” of a brand new composition by Ludlow, VT composer Nick Hubbel. Our modern program covers many styles from contemporary classical to pop, jazz and even humor (as in David Lindsey’s “Trio from the Future”). 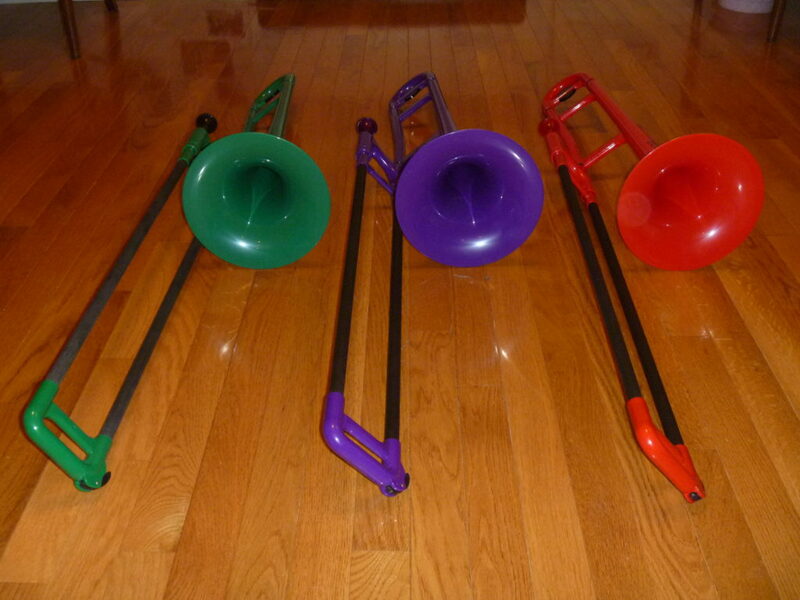 You won’t fall asleep during a Solstice Sackbuts concert. 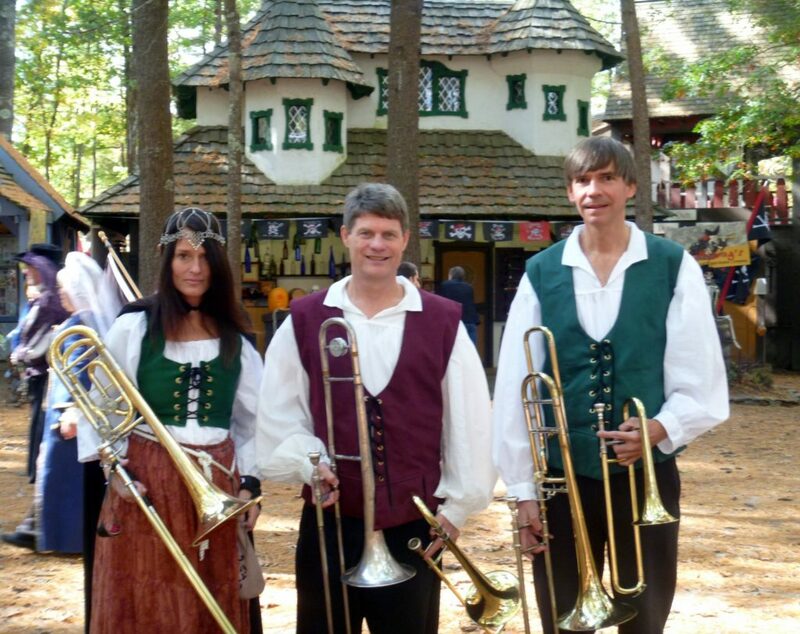 “Sliding Through the Ages” takes a musical tour through the centuries, starting with medieval and Renaissance music, and continuing with Baroque, Classical and Romantic period music, and evolving into pop and jazz, along with interesting anecdotes about life during those times, the history of music and the history of the trombone. Halloween program celebrates through music the history of Halloween and its traditions past and present. 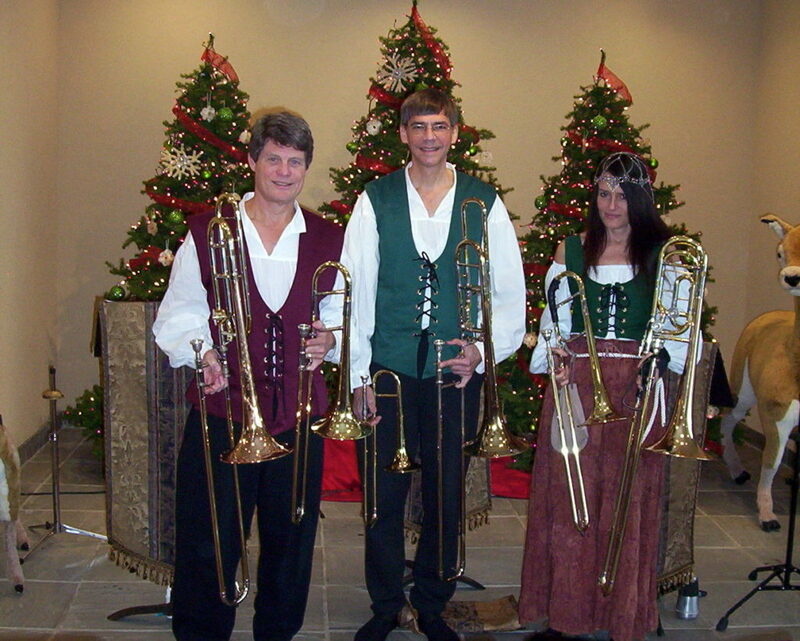 Our repertoire includes classics such as Danse Macabre, In the Hall of the Mountain King, Funeral March of a Marionette (Alfred Hitchcock’s theme), music from Phantom of the Opera, music from TV and movies, such as Ghost Busters, The Addams Family and The Munsters, and pop favorites, such as Thriller, Superstition, Monster Mash, Ghost Riders in the Sky, and many other surprises. Holiday program takes a musical tour through centuries of holiday traditions from around the world, with traditional Christmas music, Hanukkah songs and secular pop favorites. The group will and will have you tapping your toes and singing along by the end. “Sliding Around the World” takes the audience on a vacation for a day with an international program of folk and pop music from around the world. No passports are required while your toes tap to sambas, tangos, tarantellas, polkas, horahs, waltzes, jigs, calypsos, as well as rock, jazz and some of the world’s most famous and popular music. 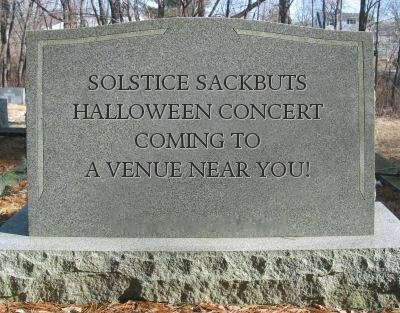 The Solstice Sackbuts will take you to Peru, Argentina, Mexico, Brazil, Haiti, France, England, Ireland, Italy, Sweden, Germany, Austria, Russia, the Czech Republic, Israel, Kenya and other destinations while playing lively and very familiar selections.